Widgets are a necessary part of any smartphone. These help you get a better touch out of the smartphone home screen. Whether you want to increase the productivity or you want to get most out of your smartphone then widgets are something which can help you out, the best thing being, these are present for you right on your android home screen. We might feature some posts for covering the widgets in details but this post is all about the clock widget. I know that most people who buy a new smartphone are more caring about the look and feel of their home screen and they can’t take a risk of spoiling their home screen because of some bad looking clock widget. Clocks are an integral part of our lifestyle and one doesn’t mind having good clocks on their home screen. 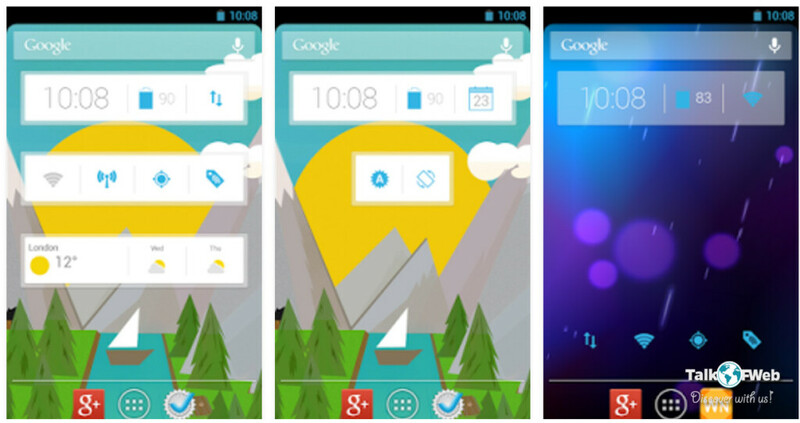 The 10 best android clock widget till today, are going to lighten up your screen. We’ve tried these widgets on our smartphone and only after that practise we made this perfect list. This minimalist looking rounded clock widget is going to create a dreamy look on your home screen. The transparency and colours can be controlled in the app setting of Onca clock widget. It combines both the digital as well as the analog clock style. You can choose depending upon what you may like on your homescreen. You want some real time information, like email, text messages count in addition to a clock widget. DashClock can serve the purpose. This is quite underrated clock widget for android when it comes to beauty and application. They also have a nice weather extension which will let you know the current degrees status in your area. Widgets often don’t give you very own garage shop where you might be able to put in creative ideas with color combination to make out something new from the scratch. When it comes to pure customization this clock widget takes thing to next level. 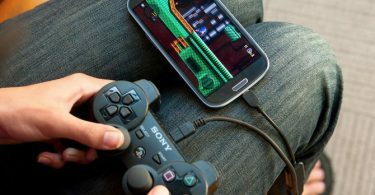 It lets you download custom skins free/paid made by other designers, to outshine your home screen of android. If you are a fan of Google’s materialistic design then ClockNow! is going to be your next stop for a beautiful clock design inspired by the Google Now design. If you are using Google’s launcher on your smartphone, and you also use Google Now! ( 20+ commands which you can say to your Android on Ok Google!) then this clock widget is the ultimate best option which you can take. There is a quick settings toggle bar in this widget too which can help you quickly turn on and off different android settings. If you are having some night theme with awesome dark icon packs then this clock widget on your android smartphone is likely going to add more beauty. With limited customization options being only limited to the color change. If you chose a right wallpaper then this can go in perfect harmony. The simple calendar widget is best if you are using custom rom like CyanogenMod. Minimal and clean and also doesn’t occupy much space. The transparency adds more to the look and simple clear font of the date and time helps it look more better on any kind of background. Minimalistic is the ultimate love if you are a person who doesn’t want much clutter on his homescreen. The different font styles, with different text options. You can add things as per your own likings, change font colours and even change sizes of your clock text and numbers is one of the coolest features which minimalistic text widget can offer. This clock widget for android comes with a circular just like your wall clock as well as a rectangular shape. It comes with a cool looking sleek design which can get adjusted on any wallpaper. There are a lot of colours to choose between when it comes to this very particular clock widget. A clock widget with many extensions and option inside which can help you customise. It has the analogue clock widget with weather widget too, both are capable of being customised. Weather integrates with a lot of service providers like yahoo etc. so that you may choose the perfect weather information source. There is a news feed panel too which may help you add RSS sources to let you read all the new resources. If you miss your old HTC phone then this widget is going to bring those good HTC days back. Because there are a lot of amazing widgets which are quite a look-alike of HTC ones, like the clock and weather widget which added the best look on the homescreen. Other than HTC looking widgets there are other ones too, which are quite amazing, there are a lot of skins of weather and clock widget combined which can be selected inside the Fancy Widgets.